Which costs impact the value of starting up a power plant? Avoiding perfect foresight with least squares Monte Carlo: in this article we demonstrate the impact of various start-stop constraints and costs. This impact analysis is possible by applying techniques for generating realistic Monte Carlo price simulations in combination with techniques for optimizing the production pattern. This paper applies the methodologies that from the basis of the KyPlant software. In short, Use KyPlant for pricing, risk managing and optimizing power plants. Calculation of the value of starting up a power plant has never been easier. KyPlant supports traders and plant owners in power markets. The power plant optimization software determines the value of power plants by quickly calculating the optimal dispatch. It also supports trading decisions and reports exposures. The real options-based model combines actual plant and contract characteristics with realistic price simulations. Moreover, it is possible to real physical power plants, but also to virtual power plants, spark and dark spread options, and power options. 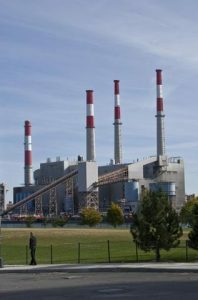 For more information about KyPlant or power plant valuation, click here. Authors: Cyriel de Jong, Dirk van Abbema, Hans van Dijken & Henk Sjoerd Los.